But to others, ghost stories have become legends passed down from the family hearth to the country store porch and beyond. Unlike folk tales, which are recognized as fiction by both storyteller and audience, legends are accounts of events that the storyteller believes to have actually occurred, either to himself or to someone else in the past. These legends generally contain a human character who comes into contact with the supernatural. How this character chooses to deal with this encounter enables the storyteller to teach a lesson about society’s ethical and moral codes. Therefore, although a belief in revenants (returners from the dead) may contradict Biblical teachings, ghost stories still contains life lessons that were important to this Appalachian mountain community. The Appalachian Mountains are a narrow and extensive mountain system that parallels the eastern coast of North America for approximately 1,212 miles. Formed about 250 million years ago, it is one of the oldest mountain systems on Earth. The Appalachian Mountains stretch from Newfoundland all the way down to the northern sections of Alabama and Georgia. They are separated from the eastern Coastal Plain by a massive fall line. The system is a mixture of mountains, valleys, high ridges and wide, dissected plateaus. Dense forests cover much of the system, and some rock structures date back to the Precambrian and early Paleozoic eras. Two of the most prominent Appalachian ranges can be found in the Southern United States. The Great Smoky Mountains in Tennessee and North Carolina have some of the tallest and most rugged peaks in the system, with some towering over 6,000 feet (Mt. Mitchell in North Carolina is the highest peak east of the Mississippi River at 6,684 feet). The backbone of the system, the Blue Ridge, starts in Georgia and stretches north to Pennsylvania. On the eastern side of the Southern Appalachian Mountains, between the Blue Ridge and the fall line, is a rolling plateau known as the Piedmont, which takes up large portions of Georgia, the Carolinas and Virginia. On the western side is the Cumberland Plateau, stretching from southern West Virginia to Alabama. In-between the Great Smoky Mountains and the Cumberland is a hilly region called the Ridge and Valley, which stretches from central Alabama up to New York State. Several Native American tribes lived in the Appalachian Mountains before the arrival of white settlers. In the South, one of the most prominent tribes was the Cherokee. According to Cherokee legend, the Great Smoky Mountains were formed by a giant buzzard circling above the earth after a great flood. When this buzzard reached the Smokies, he plummeted to the earth in exhaustion. Where his massive wings touched the earth, the mountain valleys appeared. The Cherokees learned to coexist with the European settlers. They even fought with them against the British during the War of 1812. But with the discovery of gold in north Georgia, the federal government made a concerted effort to drive the Cherokees out, culminating in the infamous Trail of Tears removal of 1838. There are some descendants of the original Cherokees living in the Southern Appalachian Mountains today. Some believe that they are descendants of Tsali, a brave warrior who gave himself up for murdering a white soldier during the Trail of Tears. In exchange, Colonel William Thomas, a white friend, promised Tsali that his tribe could remain in the hills. Other Cherokees simply disappeared into the mountains. Early mountain life was difficult for the European settlers. Completely isolated from the outside world, they struggled to survive on the rocky hillsides. But they were also a fiercely independent group, with their own system of law and unique cultural traits. Despite the widespread changes caused by modern influences, bits and pieces of early Appalachian Mountain culture can still be found today. Much of the Appalachian Mountain system is now used for recreational purposes. Parks such as Great Smoky Mountains National Park attract thousands of visitors a year while also serving as wildlife sanctuaries. The Appalachian Trail, a 2,143-mile footpath stretching between Mount Katahdin in Maine and Springer Mountain in Georgia, was completed in 1937. This trail is used and maintained by stout hikers from around the world. The original Appalachian settlers were largely Scotch-Irish immigrants who clawed their way through the lush and rugged hill country in the early 1700s. Clannish and fiercely independent folk, these settlers had rebelled against the restrictive laws of their homeland, and were in search of a place where their Protestant beliefs could flourish without interference. They were awed by the dense hardwood forests teaming with game, the fresh, sparkling rivers filled with fish, and the eerie mist creeping through the valleys that reminded them so much of the Scottish Highlands back home (this is how the Smoky Mountains got their name). Deep within the cool hollows, the settlers staked their claims. The virgin forests provided plentiful building materials for their log cabins and furniture. They raised small crops of corn, potatoes and black-eyed peas, and fruit trees and gourds to make containers. The men were crack shots, hunting the woods day and night for “beasties” (animals) with the help of their loyal dogs, which they would proudly describe as “part hound, part cur” (or fierce breed of dog). Corn shuckings, house raisings and log rollings were regular community events. But the most popular social events were the mountain dances, also called “play parties” since the church didn’t approve of dancing. These parties were generally casual and easygoing. Fiddlers, sometimes accompanied by a banjo and dulcimer would play alternately humorous and plaintive ballads that reminded the settlers of their homeland and lost relatives. Occasionally, the musicians would make up ballads about interesting community events. These “play parties” were some of the only fun times that these hard working settlers ever had. Whenever their way of life was threatened, these settlers fought back fiercely. After long skirmishes with the Cherokees and the British army, some mountain communities found themselves at odds with the Confederate army. These self-reliant people had never had to rely on slaves for labor, and couldn’t support the South’s secession from the Union. As a result, some communities were regularly harassed by the Confederate army, who took prisoners, vandalized property and stole livestock. In some areas, children were placed along the mountain tops to warn of approaching Confederate troops. Isolated from the Confederacy and the Federal government, which the mountain people later blamed for not coming to their aid during the Civil War, many mountain communities turned away from the outside world. Little immigration took place through the nineteenth century, leading to intermarriage within families. But the mountain people were always kind to wayward strangers. Their doors were always left open for strangers to “light and hitch” (visit) with the family, and a bed was always prepared. Although the mountain people tamed small plots of land around their homes, they were still surrounded by miles of mysterious, dense forest. They were already a superstitious group – everyone knew that the moon affected planting cycles, the tail of a hound dog attracted lightning and that an axe placed under the bed of a birthing motherslove would kill the pain. But as night fell across the hills, the seemingly impenetrable forest would come alive with spooky sounds and lights. Whatever these settlers heard or saw found their way into the stories told around the fireplace at night. Although modern influences have had a dramatic impact on early mountain culture, some of the “old timey” ways can still be found in the hills today. The second and third generations of the original Appalachian settlers eventually pressed against the limits of sustenance. Migrating from the low valleys into the creek branches, sub-valleys and steep hillsides, these families had extreme difficulty farming the rocky terrain. Barely able to make a living from their crops, many families fell into poverty, leading to widespread disease and malnutrition. Early twentieth century social workers were horrified with some of the conditions they found there: little or no sanitation, children lacking shoes or fresh clothes, families with ten to twelve kids crammed into dirty, one-room shacks. Distrusting of “furriners” toting little black bags filled with “black magic,” some mountain families became their own pharmacists, using odd assortments of herbs, tonics and roots to treat everything from typhoid fever to measles. As a result, the mortality rate soared. These social workers brought what was to become the first wave of modernization to the hills. Trained nurses would set up shop in the communities and teach families about personal hygiene and homemaking skills. Fathers were taught how to read and write. Corps of midwives traveled throughout the hills helping deliver babies. Some of these social workers were indeed heroes, riding across terrible mountain roads, swollen streams and swinging bridges to reach the isolated families. In the early 1900s, large lumber companies began to eye the Southern Appalachian region. The region had been generally bypassed for the flatlands of Mississippi and Louisiana, but after these areas had been fully “slashed and burned,” lumber scouts began discovering the virgin hardwood forests in the hills. Mill towns and railroads sprung up seemingly overnight, scarring the landscape and causing major pollution and erosion problems. Human life and land were cheap for many of these companies: loggers were forced to work extremely long hours with the constant threat of accidents, dismemberment and death. Despite the risks, however, many mountain residents were forced to work for the companies to support their impoverished families. With the construction of new highways, modern influences began to have a dramatic impact on mountain life and culture. The influx of radio, television and printed matter diluted traditional mountain speech. Younger families, faced with a bleak future in the hills, migrated to the cities. One by one, the mountain communities emptied. But perhaps there’s something about the fear associated with rapid modernization that has lately made people nostalgic for the “old ways.” For thousands of tourists visit the Appalachian Mountains each year searching for signs of early mountain culture. Past the curio shops and amusement parks, they are likely to see and hear traces of early mountain life: an elderly farmer still plowing his steep fields with a team of horses, story swapping on country store porches, traditional bluegrass music on a community radio station, hand-carved crafts, fiddles and dulcimers, small white churches dotting the hillsides. In mountain speech, one can still hear words and expressions from pre-colonial times. Although it is unclear what will happen in the next century, our constant need for the reassuring simplicity of the “old ways” is likely to keep Appalachian Mountain culture alive for generations to come. The Great Smoky Mountains of Tennessee and North Carolina represent some of the highest and most rugged peaks in the Appalachian Mountains. Many peaks are in excess of 6,000 feet, with Clingmans Dome in eastern Tennessee being the tallest at 6,644 feet. The name “Smoky” comes from the bluish mist that envelops the hills. Abundant rainfall and fertile soils have given the Smokies one of the world’s finest examples of temperate deciduous forest. A wide variety of flora is in abundance here, as are many different species of birds and other wildlife. Due to wildlife preservation policies, much of the area looks as it did to the early Native American and European settlers. Restored log cabins and barns from the pioneer era are scattered throughout the area. By the beginning of the twentieth century, the Smokies were threatened by lumbering and mining companies. Although these industries brought jobs to mountain families, they wrecked havoc on the environment. By the late 1920s, a move was underway by the federal government to turn the Great Smoky Mountains into a protected wildlands sanctuary. Thanks to a large donation from John D. Rockefeller, along with community efforts in Tennessee and North Carolina, over 400,000 acres of land were acquired by the government, and Great Smoky Mountains National Park was established in 1930. Like other remnants of early Appalachian mountain life, the old time speech of the original settlers has been largely eroded away by modernization. Most of the original settlers were immigrants from the English Isles, although some German and Dutch settlers also made the journey. They brought with them colorful, Elizabethan era words and phrases which one can find in the works of Shakespeare. As time passed, the isolation of mountain life transformed the language. Words were mispronounced, phrases and sentences were rearranged, and new words were created to fit the rugged mountain life these settlers faced. Intermarriage within mountain communities also caused this unique language to flourish for many years. It wasn’t until the twentieth century that mountain language was transformed by the modern influences of the outside world. Radio, television and newspapers, along with an influx of modern schools and colleges, taught the younger generation a new, “grammatically correct” way of speaking. As the exodus of young families from the mountains grew, mountain dialect became less prevalent. death watch : ticking insect in the wall of a house that meant death in the family. I don’t think I can overstate Fahey’s importance to American folk music, as much as Fahey himself hated the restrictions of the genre. Fahey was a fingerstyle guitarist, which meant that he was championing a somewhat archaic way of playing guitar when he first started recording himself in the late 50s. Fingerstyle means exactly what it says: the guitarist picks notes on the guitar with fingers rather than a synthetic pick. Although Fahey’s style has been called American Primitivism, there’s nothing primitive about his style or that of the guitarists who he nurtured (well, he wasn’t the nurturing type, so let’s call it “supported” instead) and influenced. Their flurry of sounds, usually employing at least two voices on the guitar (a bass line and a melody line), but often adding a third voice (usually a mid-range drone), is anything but primitive. Fahey had one ear in the past, always looking for old blues guitarists to learn from, but his other ear could only hear the future, and his uncompromising avant-garde tendencies give his instrumentals a timeless quality. The Legend of Blind Joe Death (1964 and 1967). Fahey created three separate versions of his first album Blind Joe Death. The first was recorded in 1959 and attributed to the mythical eponymous bluesman. Fahey released it on his own label Takoma, but only had the money to press a hundred or so copies. Five years later, Fahey decided that he had improved his guitar skills enough to re-record the album. Or, at least, some songs on the album. The second version had a wider release, but in 1967, Fahey decided to re-record the album again in stereo. The Legend of Blind Joe Death, a 1996 release, combines the later two releases with a few outtakes. Despite Fahey’s traditionalist song choice, there are not many earlier albums that sound like this: close-mic’ed solo guitar with no effects or overdubs, with all the musicality and emotion in Fahey’s own presentation. Beautiful stuff. The Transfiguration of Blind Joe Death (1965). I don’t have Fahey’s second or third albums, but this one, his fourth, is like Blind Joe Death in that some songs are covers of old blues and pop songs. The recording is as dry as the recording on Blind Joe Death, but there’s some more oddities as Fahey becomes more of his own man. There’s a banjo on one track. Some of the songs have a distinctly odd bent as Fahey incorporates more Eastern music into his sound. This one was recorded and released on another label before The Great San Bernadino Birthday Party, which was officially labeled Vol. 4 from Takoma Records, but when Takoma released later re-released it, they subtitled this one Vol. 5. All part of Fahey’s lifelong love of creative obfuscation. Days Have Gone By, Vol. 6 (1967). This one features a bunch of increasingly psychedelic originals (note “The Portland Cement Factory At Monolith California” and “A Raga Called Pat Parts One and Two”), plus a bluegrass standard and a composition by Sibelius. Awesome. Requia (1968). I don’t have the Voice of the Turtle, Fahey’s 7th album, but I need to get it (and, it should go without saying, any of the other Fahey albums I don’t have). The excellent website The Fahey Files notes that Fahey advises fans to avoid this one, claiming that he was too drunk to make a good album. I think this one is awesome, though. The highlight is the four-part “Requiem For Molly,” which mixes solo guitar with tape loops and white noise, giving you that odd feeling of listening to Mississippi John Hurt as remixed by John Cage. The Yellow Princess (1968). Fahey’s ninth album adds a band on some tracks and throws in a sound collage on another. And yet Fahey’s playing is near-perfect throughout and the recording as crisp as a chilled apple slice. All of which means that this is one of Fahey’s best. Get the reissue with the early version of “Fare Forward Voyagers” on it. Christmas Guitar (1968 – 1986). This compilation includes most of the wonderful 1968 album The New Possibility: John Fahey’s Guitar Soli Christmas Album, plus a bunch of other Christmas tracks that Fahey recorded over the next 20 years. America (1971). Brilliant stuff here. This is the 1998 reissue, which restores the album to the two-disc length that Fahey originally conceived. There’s a version of “Amazing Grace,” a movement from a Dvorak symphony, and some extremely long compositions. Of Rivers And Religion (1972). More brilliance. Fahey has a brass section backing him on some tracks and a string section on others. This is great, great American music. Fare Forward Voyagers (Soldier’s Choice) (1973). This is mystic music. Three tracks, one 14 minutes, one 6, and one 24. Beautiful long compositions with a heavy Eastern sound. Old Fashioned Love (1975). This is Fahey again with a ragtime orchestra, with his sound covering the distance from early 20th century American music to Indian classical music. Yes! Jesus Loves Me: Guitar Hymns (1980), Let Go (1984), Rain Forests, Oceans, and Other Themes (1985), and I Remember Blind Joe Death (1987). I’m running out of things to say, so I’m going to start talking about several of these at once. The Guitar Hymns album takes traditional Christian hymns and presents them in the beautiful dry style of Fahey’s Christmas albums. Let Go melds Brazilian music with ragtime, bluegrass, and a surprising note-for-note cover of “Layla” that remains as smirkingly serious as any of Fahey’s other covers. Rain Forests has more Brazilian music, another version of “Layla” (or is it the same one? hard to say), a medley of Hendrix into Furry Lewis, and a Stravinsky composition. Fahey was pretty sick at the end of the 80s with Epstein-Barr, and he claims that I Remember Blind Joe Death is worthless because his sickness made him sloppy. It’s not worthless, but it’s not one of his better albums. God, Time, and Causality (1989) and Old Girlfriends And Other Horrible Things (1992). Fahey was in better health for God, Time, and Causality (its title a pompous joke from a guy who was studying philosophy at Berkeley when his music career took off). Here Fahey reworks a number of earlier tracks into long, transcendent medleys, pausing occasionally to retune during the track so that he can capture the odd Indian-raga inflections. Awesome stuff. Old Girlfriends is sort of a step back to his ragtime-classical-pop song formula of the mid 70s. I’m not knocking it; the album is great. Womblife (1997). I don’t have City of Refuge, where Fahey leapt headlong into avant-garde music, combining his anti-folk fingerstyle guitar with tape loops and white noise to an unprecedented degree. But I understand that Womblife, produced by Jim O’Rourke, plumbs a similar vein more successfully. I think it’s amazing. The Epiphany of Glenn Jones (with Cul De Sac, 1997). This is a half-successful attempt to meld Fahey’s style with Cul De Sac’s krautrock-and-jazz-influenced avant-rock. You really must read the liner notes to get a glimpse of what working with Fahey was like. I do not envy Glenn Jones his experience of having his idol sabotage his plans, but the result is pretty great in spots and a fascinating trainwreck in others. Georgia Stomps, Atlanta Struts and Other Contemporary Dance Favorites (1998). This is a live album of Fahey working out themes on an electric guitar. I’ve read that Fahey found that his fingers were having trouble with acoustics at the time, but I would believe just as strongly that he just wanted to mess around on an electric and used whatever excuse was at hand. Unfortunately, he could not pull the resonance from an electric guitar that he could wreak from an acoustic, and while the performances are great, the music suffers a bit from the tinniness of the sound. has been a work in progress for 30 years. About 30 years ago, a Minnesotan trombonist-turned-acoustic-guitar-player named Leo Kottke released an album on the tiny Takoma label. Suddenly Kottke found himself with a full-blown career as a finger-picking guitarist. He scratched his head, muttered something witty to his muse and proceeded to play for a living. Since then, the acoustic-guitar world has evolved, exploded and retreated, and otherwise gone up one (Windham) hill and down another, but Kottke–with the terminally boyish face and what-me-worry attitude–has been quietly plugging along. He would smirk at the superlative, but Kottke has become something of an American legend in the guitar world, and a king of his own private musical world. When he comes to Santa Barbara on Saturday, you will hear both a deep history and musical style in development. You’ll also, no doubt, soak up Kottke’s signature between-song anecdotes. Kottke stays on top of his game, primarily because his unique style separates him from the pack and because his hefty pile of recordings reveals that he never succumbs to complacency. Each one has a distinct identity, especially those produced during his decade of tenure on the Private label. But there are also signs of the times, including drum loops and modern studio treatments from fellow Twin City-man, producer David Z. One song that jumps up for airplay attention is his remake of the old Fleetwood Mac tune “World Turning,” sung with Kottke’s characteristic, kindly huff of a voice and with his rickety finger-pickin’ rhythmic force. Classic rock never sounded so good. Kottke fielded a few questions from his home outside of Minneapolis last week, where he’s nursing a broken foot suffered in the line of duty, trying to jump over a railing at a gig in Portland. You don’t become a veteran without a few bruises. I’m assuming that when you started playing guitar, you didn’t expect it to sustain you for 30 years. Do you look over your career with a kind of bemusement? I really didn’t have any such ideas about this work, and neither did anyone else. I don’t get this question anymore, but I used to get asked, “How long do you think this will last?” or “What would you do if it went away?” I could never answer that. There were times when it was a serious question that I’d ask myself, usually when I was working too much. That will get ahold of you. But the most that I ever felt it was when the Takoma record came out (in 1969) and it kind of hit. It got a lot of airplay and all of a sudden, something was going on. I really wondered then not so much how long it would last, but what it was and what had changed. It took me years before I realized that nothing had changed. It was just that more people had heard me. That’s what I’ve figured out about that employment/existential part of the story. I just zero in on the tunes. That’s what I’m in it for, the tunes. Those will happen whether I have a job or not. I’m hooked. I never think of you as a veteran, but I guess you have arrived at that status, haven’t you? I like that you never think of me that way. But I have been around a long time. That’s all it takes. You don’t have to be good, you just have to hang around. You have to stay alive and keep making good records, too, don’t you? I guess so. I ran into Dizzy Gillespie once in Italy, in his later years. He was loading the station wagon. He didn’t know me from a hole in the ground, but he walked up the street to talk to me and he was just the great guy you’d expect him to be. Basically, we talked about how to get some sleep on the road. He could just knock out wherever he was. I had read his book “To Be or Not to Bop,” and he talks about what the music demands of you. Sooner or later, you have to live almost like a monk. Otherwise, the music starts to go. So you’ve become an ascetic of sorts? Yeah, I have this little carpet of nails I sleep on . . .
On an information sheet, you say that your two big influences are jazz great Joe Pass and folk hero Pete Seeger. Does that cover the poles of your musical style? I never really know what to say about influences, because there are just so many that I have had. I have to add Jim Hall to that list. That’s just by way of saying I don’t know if people can answer the question of their influences. A lot of it would be surprising. For one thing, I don’t think the list is ever quite as hip as we would hope. I know the first record I ever bought was a single called “Deedee Dinah” by Frankie Avalon. It’s pretty rough to admit something like that. I was in the sixth grade. Each of your albums, especially in the last few years, has had a sort of conceptual agenda. Is that your plan? It does seem that way, but it’s not premeditated. Something just seems to take over while you’re doing it. With the latest record, I could have assumed that something along those lines would happen, that it would have an overall rhythmic approach, because of David Z. I’ve known him since we were starting out. We were working in the same studio in Minneapolis, called Sound 80. He was working with Prince, and I was working with me. We intended to make this album back then, but it took us 25 years. Your version of “World Turning” on this new album has stirred a lot of interest. How did you come to focus on that one? It was really Dave’s idea. He suggested an old Fleetwood Mac tune, from the first version of the band, before the guitar player got religion. I guess because I didn’t think of it myself, I couldn’t really put a lot of energy in that, but came up with “World Turning” instead. I did a few shows with Fleetwood Mac and always enjoyed them. They always had something special, between Lindsay (Buckingham) and Christine McVie. It’s all good, but she has got that straight-ahead, unadorned quality that’s so satisfying to hear. Is music a parallel reality for you? It might be the reality. There are times when I’m almost convinced that music is inhuman, that it comes from somewhere else. Most of the players I know seem to think the music that happens is not what they think of. It’s so good for you. Anyone who plays really benefits, whether it’s a job or not. insult aimed at my embouchure, and play whatever I had not been studying for the last week. trombone kept those home improvements at bay. someone who never played much and was depressed. in the middle of this thing they realized what was coming and they began to chortle. relief on a dull day. for me. I do remember some funny looks when I played for them… a long time ago. thrill; it is the last cigarette before the firing squad. It is a gesture of defiance. It is an economy. currency when he didn’t have a Malagassi dime, are honored by their culture but not rewarded by it. So some of them teach. And kids like me show up in their basements. existential fact: gifts (theirs) are often obscured by ignorance (mine) but knowledge can reveal them. music, but also ABOUT music, and about corn, and about patience– theirs, mostly. though, by the semblance of tone I might have produced had the diameters been equal. watch my trombone career go down the drain… ploink, ploink. trombonists, note by note, toward home. Fortunately, floor space has been less of an issue since ACE sold three-quarters of Lomax’s original collection to the Library of Congress in 2004—650 linear feet of manuscripts, 6,400 sound recordings, 5,500 photos and 6,000 moving images—and launched its vast online archive in March 2012. Digital copies of much of the material now fill the shelves, and a cursory stroll through ACE’s web site (culturalequity.org) offers endless hours of viewing (5,000 photographs, 3,000 videos), listening (17,400 files), and reading. One can also surf over to the Alan Lomax Archive YouTube channel, which boasts 77,000 subscribers. But even with the sale and the effort to digitize, the ACE offices still flow with a trove of relics and heirlooms, so the company is preparing an eBayauction, to begin March 9, as it begins the move from its 2,500-square-foot space to a 1,500-square-foot space. Items for sale will include much of Lomax’s old recording equipment, video/film editing gear and other tools he used to build this archive, as well as odds and ends like his guitar and a few 78s from his personal record collection. Though its archives can be accessed on a donation basis, and other labels, publishers and institutions often release its material, ACE continues to spread the good word on its own. On Feb, 14, it issued its first release in 12 months, “United Sacred Harp Convention: The Alan Lomax Recordings, 1959.” Mississippi bluesman Sid Hemphill’s “The Devil’s Dream,” recorded in 1942, will come out Thursday. The light-footed archive, with its $300,000 budget, may focus on historical recordings, but it is anticipating the CD’s demise, releasing almost all of them on LP and as digital files. The nonprofit uses the proceeds to help cover operating costs, but also to honor Lomax’s original contracts and make sure that artist royalties still go to their descendants if they can be found. He may not have made a lot of money, but Lomax’s cultural impact at home and abroad is incalculable. In the decade before World War II, he and his father, the famed folklorist and collector John Lomax, took several historic trips through the South collecting material while working for the Library of Congress, making the first recordings of Muddy Waters and Fred McDowell, and capturing other legends like Jelly Roll Morton and Huddie “Leadbelly” Ledbetter. “It is quite possible none of them would be known today, and all the influences they spawned might have never occurred, had Alan not recorded them—and worked to popularize them,” said Bill Nowlin, the founder of Rounder Records, which has released dozens of albums of Lomax material. Later, through his radio broadcasts in the 1940s, Lomax helped bring wide exposure to such American folk icons as Woody Guthrie and Pete Seeger, and continued making field recordings throughout the Caribbean, Ireland, Scotland and Spain. After 1960, he focused on what he called “cultural equity,” an egalitarian approach to expressive forms (particularly music, speech and dance) from around the world. It culminated in the last decades of his life in a forward-thinking creation he called the Global Jukebox Project, an early computer database that organized and compared various forms based on geography, style, and subsistence patterns. 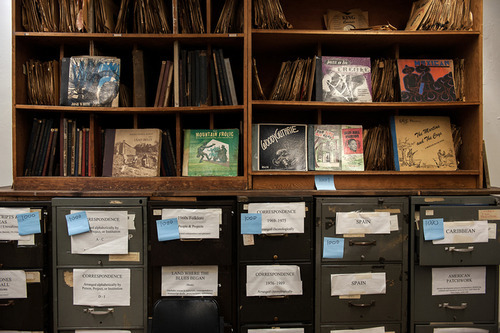 Initially available to institutions and researchers, a new version called the Global Jukebox Song Tree will be available online in the fall with a cache of 5,000 songs. Sam & Kirk McGee were one of the earliest country music duos. During the nearly six decades they were active, the McGees performed and recorded as a duo and in conjunction with Uncle Dave Macon’s Fruit Jar Drinkers, Bill Monroe’s Bluegrass Boys, and fiddler Arthur Smith. 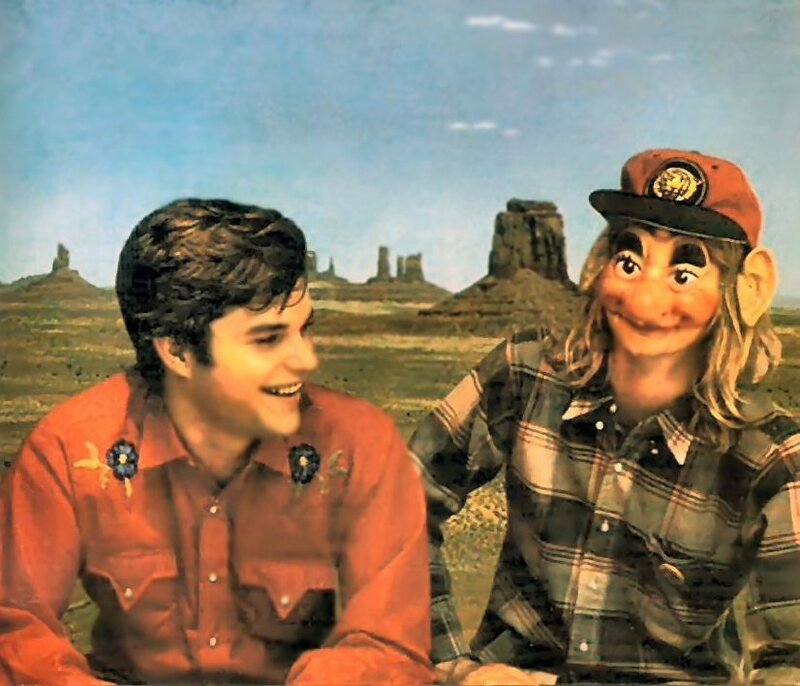 One of the first acts to become members of the Grand Ole Opry, Sam & Kirk McGee continued to share their unique hybrid of old-timey country music and blues with enthusiastic audiences until the mid-’70s. Raised on a family farm in Franklin, TN, south of Nashville, the McGees inherited their musical skills from their father, who played fiddle. As youngsters, they often accompanied their father on banjo. By the time they were teenagers, Sam & Kirk were performing at local dances for as little as ten cents apiece. Inspired by the syncopated music played by black railroad workers who congregated outside his father’s store, Sam McGee switched to guitar and developed a soulful style of fingerpicking. A turning point came in 1923 when the McGee brothers attended their first concert and heard a performance by Uncle Dave Macon. They were so absorbed by Macon’s playing that they continued to ask to join his troupe until Macon agreed the following year. When Macon joined the WSM Barn Dance, which later evolved into the Grand Ole Opry, the McGees, who joined with guitarist Hubert Gregory and bassist Golden Stewart to form the Fruit Jar Drinkers, were members of Macon’s band. Sam McGee’s recording debut came in April 1926 when he recorded several tunes, including “Whoop ‘Em Up Cindy” and “Late Last Night When My Willie Came Home,” in a New York studio. In May 1927, the McGees recorded with Macon and fiddler Mazy Todd. In addition to serving as Macon’s accompanists, the brothers recorded nine duets and three songs with Macon on banjo. Sam & Kirk McGee continued to explore musical possibilities. In July 1928, Sam used a six string banjo-guitar during a recording session in Chicago. He later became played the first electric steel guitar on a broadcast of the Grand Ole Opry. In 1931, the McGees teamed with fiddler Arthur Smith to form a new band, the Dixieliners. The group continued to perform together until the late ’30s, when Smith submitted his resignation. In 1957, Sam & Kirk reunited with Smith, continuing to perform together through the mid-’60s, including a memorable appearance at the Newport Folk Festival in 1965. 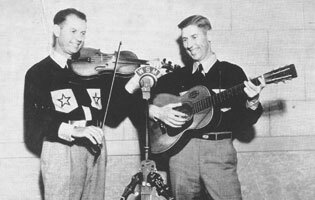 In the late ’30s and early ’40s, the McGee brothers worked with a comedy act, Sara & Sally, before joining Bill Monroe’s revue. In addition to playing with Monroe’s band, the Bluegrass Boys, the brothers were featured in their own segment of the show. The McGees continued to perform on their own through the ’50s and made numerous Grand Ole Opry appearances as the Fruit Jar Drinkers. They remained active into the ’70s, and ended with a stunning performance at the Country Music Fan Fair in 1975.
posers studied and later were professors at the Conservatory. tions, festivals and personalities being presented in the pages of my paper. Actualitatea muzicala and Muzica, and he has a constant involvement in radio and TV projects. as well as a documentary movies director. artistry, refinement, efficient expressive brevity and impressive spiritual youth. 2002) und der Gesellschaft “Frauen in der Kunst” – Sektion Rumänien (ab 2002). Rumänischen Akademie), Sechs Bilder rumänischer Komponisten (2002), Theodor Rogalski (2006). geprägt, in Cluj begegneten sich Abendland und Morgenland. mündlich überlieferten Volks- und Kirchenmusik und der Regelstrenge des europäischen Barock. mit der von Mihail Jora in Bukarest vergleichen lässt. aufgegeben und gilt auch heute noch als ein Ort kultureller Vielfalt. (1936-1938) Orgel und geistliche Komposition. (1942-1944, während der Besetzung Siebenbürgens). Philharmonie „Ardealul“ in Cluj (1945-1949). Cluj. Von 1973 bis zu seinem Tod war er als beratender Professor tätig. (1970-1989) und korrespondierendes Mitglied der Rumänischen Akademie (1991). Vorliebe für große Formen, doch ohne Ausschluss instrumentaler oder vokaler Miniaturen. Presse- und Veranstaltungsbüros der Hochschule für Musik und Darstellende Kunst Frankfurt am Main. Bundeswettbewerb „Jugend Musiziert“ und beim Internationalen Klavierwettbewerb „Kissinger Klavierolympiade“. Musik, Das Orchester, etc. ), sowie Texte für Plattenaufnahmen (z.B. Tudor Recording, Zürich). der Weiterführung des Erbes George Enescus – prägte ihre unkonventionelle Weltanschauung. er u.a. bei Mihail Andricu, Alfred Mendelssohn, Tiberiu Olah, Tiberiu Alexandru und George Breazul studierte. Music and Moderne Composition Technics, in Bulgarien und Holland. deutscher Staatsbürger. Z.Z. lebt er als freischaffender Künstler in Berlin. Hermann Abert: Johann Sebastian Bach. Bausteine zu einer Biographie, Köln 2008), Musiktheorie im 17. Dortmund. Schwerpunkte in Forschung und Lehre sind Musiktheorie und Neue Musik. Orchester. Als Textdichterin verfasste sie etliche Texte ihrer Kompositionen selbst. eine Dissertation zur phänomenologischen Betrachtung der Verräumlichung von Musik vor. Ferenc László-Herbert (geb. 1937) hat Flöte studiert und publiziert seit 1957 musikwissenschaftliche Texte. hielt Vorträge an mehreren Universitäten, von Leipzig bis Osaka. letzten Studienjahr des Magisterstudiums, im Rahmen derselben Institution, unter der Leitung des Univ.-Prof.
by bounding themselves through oath, to sacrifice one of them wives as a ritualistic price. er mit einer Arbeit über die Wechseldominante in Mozarts Werk. Enesco dans la conscience du présent ,1981, Editura stiintifica si enciclopedica). given lectures in Germany, Israel, Switzerland, and the USA. Synthese moderner Schreibweisen, von Heterophonie bis zur Textur, herbei zu führen. für großes Orchester, cca 1940, Ms.
für großes Orchester, 1940, Ms.
2 * Manuskript in der Stiftung Sigismund Toduta. 3 ** Für den Druck vorbereitet. Bucuresti, 1963; litografiert Conservatorul „Gh. in: Rumänische Klavierminiaturen für Kinder, Hg. C-H für Orgel), 1984, Editura Arpeggione, Hg. Verse von W. Shakespeare, Fr. v. Schober, Ch. p.I (Anton von Webern: Variationen für Klavier op. Les Inventions et les Symphonies de Bach. über die Wissenschaftliche Konferenz zum III. Emmett Lundy was born in Grayson County, Virginia on May 9, 1864, one of nine children of Churchwell and Caroline Ward Lundy. From family records, we know that the Lundys emigrated from England in 1687, settling first on Pennsylvania lands purchased from William Penn. Emmett’s great-grandfather John Lundy moved to Grayson County around 1787 and acquired the land the family still holds near Dalhart, just south of the present town of Galax. During Emmett’s early years, the Virginia mountain area around his home was largely an agrarian, traditionally integrated frontier society. As a young man, Emmett became absorbed in the music which he heard around the community at dances, log rollings, pumpkin peelings and other excuses for having a little fiddle music. Evidently there may have been fiddlers in the Lundy family, but no one knows for sure. It’s not really important to this story, for young Emmett’s main musical influence came from outside his home. In his late teens, Lundy started the fiddle (the main instrument found here at this time), and immediately took up with an older fiddler named Green (for Greenberry) Leonard. Green Leonard lived in Old Town, just a few miles north of the Lundy home place. Leonard was a pretty old man when Lundy met him, probably born in the early decades of the 19th century, though the exact date and place are unknown (to me). It is a fact, however, that he secured a Grayson County marriage license in 1833 and from all accounts thereafter was a lifetime resident of the county. Leonard must have been an extraordinary fiddler, for most older Grayson County fiddlers, even today, acknowledge him as the “best there was”. The legend might endure more strongly than actual fact, but it’s compliment enough that his memory remains alive some hundred years after his death. According to Lundy, Leonard was about “65 to 80” during the time he knew him, a period roughly datable to the 1880s and ’90s. These could be assumed to be Lundy’s learning years, though it appears from the interview (“Talking About Green Leonard”, track A2 on the String 802 LP), that Lundy had to work awfully hard for his “lessons”, and only by constantly hanging around could he actually “catch” many of Leonard’s fiddle tunes. It’s a safe guess that most of [the pieces presented on the String 802 LP] were learned directly from Green Leonard’s playing, for neither Lundy nor his family mentions other specific sources. So though these tunes come from a rather late recording date, [Alan Lomax recorded Lundy in August of 1941 for the Archive of Folk Song, Library of Congress], they appear as the earliest recorded documentation of fiddling in the area – fiddling traceable through Lundy’s association with Green Leonard back to the early 1800s. Though an excellent musician, Lundy never attempted to make a living with his fiddling. His music was an amusement. He invariably played the fiddle at night following supper, carrying on this practice even when he was very old. Lundy was primarily a farmer, but helped support his large family of 14 by blacksmithing, repairing watches and pulling teeth. A member of the Primitive Baptist church (a denomination which frowns upon the use of instruments), Emmett refused to believe that there was harm in his fiddling. Although some say that he himself never played for a dance, his music was in fact heard at various community events such as celebrations, school breakings, work gathering and fiddlers’ contests. He is reputed to have won, some time in the early ’20s, the first $10 gold piece ever presented at a Galax fiddlers’ convention. We shouldn’t think that old-time music was only played at social gatherings, for then, as now, musicians got together just to play some and perhaps to swap a few tunes. Though Emmett’s music was individual in nature (he never regularly performed with a band), he played often with many of the musicians around his home. Isom and Fielden Rector, two old fiddlers who lived close by and are remembered as being among the best, were close friends and musical cronies. Lundy also played with Crockett Ward of the Bogtrotters Band. These sessions are described by Fields Ward as sometimes lasting more than a day or two at a time. Eck Dunford, musically associated with both the Bogtrotters and Ernest Stoneman, often came to Lundy’s for a tune or two. Dunford is said to have been one of the first people around who became proficient on the guitar, an instrument he often used in backing up Lundy’s fiddle tunes. Lundy’s one commercial venture involved perhaps the most well-known Grayson County musician, Ernest V. Stoneman. Stoneman chose Lundy to travel with him to New York for the Okeh session of May 1925. Kelly Lundy remembers that the Lundy household was pretty excited about Emmett’s trip and his opportunity to make phonograph records. On May 27, Stoneman and Lundy recorded two harmonica-fiddle duets: “Piney Woods Gal” and “The Long Eared Mule”, issued as Okeh 40405. It seems doubtful, according to Lundy family members and other folks who are acquainted with the music of the time, that Lundy ever played regularly with Stoneman. Stoneman was, of course, much younger, and the two men differed considerably in their musical preferences. Stoneman probably picked Lundy for the session because of his reputation as a fiddler. These two Okeh sides are Lundy’s only contribution to hillbilly recording. When the discs were released, Lundy didn’t care much for their sound (he felt the fiddle couldn’t be heard well enough), and declined to pursue his recording career any further. Thus, for the study of American fiddling, the interest which the Library of Congress exhibited in fiddle recording in the 1930s and ’40s is extremely important. Although the commercial companies were the undisputed leaders in placing American folk music on disc, by their accidental nature of discovery, these recordings were necessarily unsystematic, uneven, and entirely lacking in even the most basic documentation. One of two records tell us little about the tastes and influences which shape a musicians’ performance. In Stoneman’s case, he recorded so many tunes that it’s possible to discern the forces at work upon his music, and a casual glance at his recorded repertory reveals his fascination with the popular and commercial aspects of his music. For musicians who recorded only a few pieces, the task is much harder. Without these later Library of Congress field recordings, it would be difficult to even speculate about the nature of Lundy’s music. In the light of the later documentation, the picture becomes clearer. …Lundy’s music reflects something of both the older fiddle tradition and the newer ensemble idea. His music parallels the growth of the ensemble, yet he was too much involved in the older style to conform fully to the new. In this way, through his music, a pattern of development and change may be seen. The most important aspect of a fiddler’s technique is his bowing. As many a fiddler will remark, bowing distinguished individual style. Lundy’s fiddling cannot simply be categorized as “short” or “long” bow fiddling. Like all master fiddlers, he consistently employs both techniques to ultimate advantage – emphasizing the rhythm with syncopated short bows while gliding over difficult musical flourishes with a long bow. His style is tied to his repertory and clearly is indicative of the older Grayson County fiddle tradition. Like his tunes, Lundy’s stylistic patterns also fail to show up strongly in the following generation – those fiddlers who were learning their music in the first decades of the 20th century. The introduction to the banjo probably influenced bowing to the same extent it did repertory. As the tunes were melodically flattened out, the need for complex bowing was superfluous. A few other aspects of technique need to be mentioned in passing. Lundy held the fiddle under his chin, grasped the bow near the end or frog, and used all four fingers of the left hand in noting (as opposed to what he pejoratively referred two as “three-fingered fiddling”). He also employed triplets, either noted with the left hand or effected by a rapid jiggling of the bow…He tuned his fiddle throughout in the classical manner, G-D-A-E , except for “Bonaparte’s Retreat”. Lundy maintains that Green Leonard also never retuned the fiddle. The use of many fiddle tunings, Lundy felt, was essentially “cheating”. Biography (with minor editing) taken from the liner notes of the LP “Emmett W. Lundy, Fiddle Tunes from Grayson County”, produced by Tom Carter and Tony Russell. These recordings of legendary old-time fiddler Emmett Lundy were made for The Library of Congress By Alan and Elizabeth Lomax in 1941. Lundy was a venerated fiddler in Grayson County, a region that gave us so many fine musicians (Ernest Stoneman, the Ward family…) and his playing represent an old fiddling tradition of this area. Some of the first autoharps produced in America were simple 3, 4, and 5 plain bar models. These instruments were made in Philadelphia, in the shop of German-born American C.F. Zimmermann, who in 1882 obtained an American patent for an attachment he claimed was “an improved method for playing a harp”. The total package, a zither-or harp-like instrument outfitted with this gizmo, was referred to as an “autoharp”. However, both the instrument and more importantly the bar action pictured and described in the patent differ significantly in form from the autoharp as we know it. The body shape is symmetrical, and the felt-bearing bars that silence certain strings move horizontally, rather than vertically. Though the date of British patent is not given in the article, it appears by two items within the text to have been granted in 1883 or 1884. Though Zimmermann’s patent predates this one, a couple of points need to be kept in mind: * Zimmermann’s 1882 patent did not represent the instrument now known as an autoharp. *The patent grantee was German, the patent was British; it seems likely that an earlier patent was granted in his home country, but as the article explains, it is very unlikely that any record of it will ever be found. German instrument. In the years from 1882, when the first patent was granted, to about 1885, when production actually began, it seems likely that Zimmermann realized his patent instrument was a failure, that he experimented with trying to improve on it, but that he eventually gave up and began production of the German instrument in unaltered form before some other enterprising American did. However, it appears he was reluctant to totally abandon his horizontal approach to muting strings and that he had also experimented with incorporating the idea into the design of the German instrument as an improvement. The result was the addition of “shifters” to the chord bars. Around 1893, the autoharp factory moved to Dolgeville, New York. It was bought by Alfred Dolge, another German-born American who had established himself as a piano parts manufacturer, beginning under the tutlelage of Frederick Mathushek (yet another German-born American) in New Haven, Connecticut. It was at the Dolgeville factory that the autoharp first donned its now-familiar cloak of black. The Philadelphia location had been a productive one; a booklet from around 1889 states that “50,000 have been sold in the first three years following its introduction”. The autoharp’s second home, the Dolgeville factory, was even more productive. As a result, 19th century instruments are abundant enough that examples in fine structural, functional, and cosmetic condition are still to be found. By way of example, here is a Dolgeville No. 2 3/4 from the 1890s, after proper cleaning and new strings. Some of the most imaginitive decals ever to adorn autoharps were of Dolgeville birth, and the firm reached the height of functional refinement for the time with the “concert grand” and “parlor grand” models. Though extremely productive, the company enjoyed a very short lifespan of only about 6 years. Undaunted, Dolge relocated to California, and by the time he published his amazingly informative Pianos and Their Makers in 1911, we find him re-established and for all appearances once again thriving as a piano parts manufacturer. Music shaped his life, and subsequently his life indelibly shaped our American musical heritage. Pop Stoneman’s father was a lay preacher, his mother, a singer. His cousins, uncles, and brothers enjoyed sharing music with their family and friends. During his teens, he joined his family gatherings, playing every instrument he could get his hands on. He was drawn to the autoharp, and because he couldn’t afford to order one from the Montgomery Ward catalogue, Pop built his own using parts of an old piano. During his early life, he found work wherever he could – as a farm hand, a carpenter, and a sweeper in a cotton mill in Fries, Virginia. As always throughout his life, however, his main interest was music. Pop met and married Hattie Frost, whose father was a luthier, fiddler, and banjo player. Bill Frost had taught his daughter Hattie to play the banjo and fiddle. She became a fine musician in her own right. Pop and Hattie were the parents of 23 children, 13 of whom survived to adulthood. Wlile working at the Fries mill, a friend of his had a “home recording machine,” and in 1914, Pop recorded a tune on this machine with a harmonica and his autoharp. That experience changed his life forever. Pop’s first commercial recording, a song he wrote called “The Sinking of the Titanic,” was made in New York City on September 1924. It quickly became number three on the Billboard/Variety charts, and remained there for ten weeks. This solo recording sold over one million copies. From 1924 through 1929, Pop recorded well over 200 songs under many names and on many labels. In 1927, he was under contract with Ralph Peer, Recording Director for the Victor Talking Machine Company Pop knew there was talent in the Bristol, Tennessee area, and was greatly responsible for Mr. Peer setting up the famous Bristol Recording Sessions. This historical session has been dubbed the “Big Bang of Country Music.” Pop and Hattie were the first to record at Bristol, and on subsequent days, The Original Carter Family (A. P., Sara, and Maybelle Carter), and Mississippi Yodler Jimmie Rogers made their nationally commercial debuts. After being a solo artist, Pop began to include his wife and adult family members in his performances. In 1930, he brought their children into the musical arena, thus making the Stoneman name the longest continuously active name in country music. Pop’s professional musical career was a long one, dating from his first recording in 1924 to his death at age 75. Pop and Hattie Stoneman’s children were born musicians. Every member of the family has made recordings, many under labels such as MGM and RCA Victor, and most have performed in the most prestigious venues. They had no musical training, but when their names are mentioned in the country music circles, e.g. – Donna, mandolin; Roni, banjo; Scott, fiddle; Gene, guitar; Jim, bass they are legendary. The family first appeared nationally on the “Jimmy Dean TV Variety Show.” “The Grand Ole Opry” followed in 1962, and in 1966, they hosted their own syndicated television series “Those Stonemans.” In 1967, The Stoneman Family was presented the first CMA Award as Vocal Group of the Year. They have participated in two motion pictures, have been nominated four additional times to the CMA Award presentations and several CMA nominations for Instrumental Group of the Year, and have traveled Europe extensively. Pop and Hattie’s family has also made hundreds upon hundreds of professional recordings. Because the family is so large and the music interest varied among its members, they frequently broke into “band segments.” At times there were as many as five or six family bands performing throughout the country simultaneously. The picture below is one such group.